Most gay guys don’t live jet-setter circuit party lives, and in the ‘80s and ‘90s, there was a refreshing movement amongst queer cartoonists and zinesters to document what ordinary gay lives were really like. 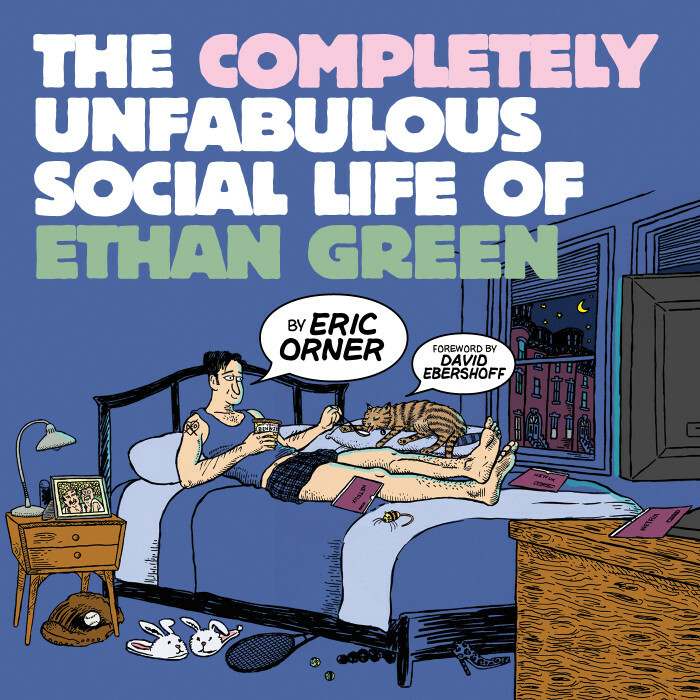 Eric Orner’s strip The Completely Unfabulous Social Life of Ethan Green was at the forefront of these comics. 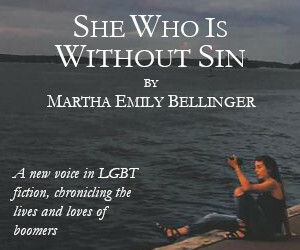 It ran for three hundred episodes, from 1989 to 2005, in more that eighty publications, spawned a movie and connected to scores of queer men who could identify with Ethan’s travails. It’s about time Orner’s work got republished. This attractive Northwest Press compilation pulls together almost all the original strips, save a few early ones that have been lost. Like many readers, I got my weekly Ethan Green fix in my local queer paper, but I missed a lot of episodes, too. And papers also weren’t always consistent in how episodes were published. As Rob Kirby states in his hand-lettered fan mail to Orner (touchingly reproduced here as the introduction to the book), “…it can be frustrating because they [the papers] seem to be running it in an arbitrary & out-of-sequence fashion.” But fret no more! This compilation lets readers read everything in the order it was intended to be read in. And if you, like me, like to binge watch your favorite series on Netflix, I encourage you to dig in and binge read this comic. The strip follows Green’s never-ending search for the perfect partner. A break up with his boyfriend Leo leads to some good mope sessions. One strip aptly titled “How to be Depressed and Broken Hearted” includes the advice, “Disgust yourself by wondering what your X is doing every second of the day. Break down and call. Hang up as soon as he or she answers.” Who hasn’t done idiotic stuff like that? Fortunately, being single and lonely motivates Ethan to jump into new romantic encounters with an array of intriguing lovers. He has relationships with Doug, whose positive status raised timely discussions of AIDS, and Peter, a handsome vet, as well as trysts with a Montreal chef who is also an illicit drug dealer, plus occasional one-nighters with a handsome green alien from outer space. 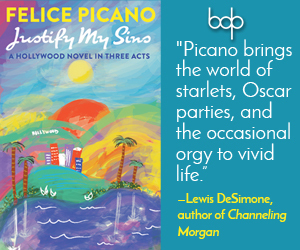 But since life is mostly pretty unfabulous, there’s lots of comics here about day-to-day living, too: hangovers and boredom, phone calls from and visits with parents, annoying best friends, lesbian pals, the Greek chorus-like Hat Sisters, and Ethan’s cat confidante, whose sarcastic thought bubbles often get in the last word. Orner’s artwork is the perfect match for his well-spun tales. Both tend to be highly detailed (his comics even joke about this), and smart readers should keep reading glasses handy so as not to miss the hilarity of the rich, minute details. Take, for example, “Farewell my Hunkubine?”, in which Ethan contemplates all of his boyfriend Doug’s annoying—but familiar—habits, including trimming his toenails. The real joke is read in the margins of the comic’s panels, which are strewn with clippings, mimicking the super annoyance of finding toenails that aren’t yours where you least expect them. Orner’s book is a treasure trove of emotions, queer characters you both know and want to know, engrossing art, humor and good storytelling. I recommend curling up with this book and reading it cover to cover. Both old fans and new readers alike will relish this collection.